Electrical Construction is the foundation of our business. From the ground up, Clinton Electric, Inc. can address all electrical aspects of your construction project whether it be new construction, renovations, general facility maintenance, plant shutdown or emergency work. We can provide pre-construction services and expert project management to keep your project on schedule to a timely completion. Extensive experience in industrial and commercial lighting design and installation enables us to follow your engineered specifications and/or make recommendations for your lighting project. Clinton Electric, Inc. is also a registered installer with Ameren's ActOnEnergy Program that allows organizations a cost effective method for upgrading their lighting to a more energy efficient alternative. Lighting Controls provide energy conservation and cost savings to your business or organization. Clinton Electric, Inc. can provide guidance and options on lighting control for your facility. Our lighting control installations include schools, banks, churches, healthcare facilities, correctional facilities, sports facilities, office complexes, parking lots, retail and restaurant establishments, just to name a few. Clinton Electric, Inc. has extensive experience in installing and upgrading fire alarm systems to meet the exacting standards of NFPA 70. An effective and properly working fire alarm system can give you peace of mind that your facility is protected and can also help you reduce building/property insurance premiums. Our fire alarm installation/upgrade experience covers a wide range - from the very large to the very small facility. Security Systems are crucial in today's world and there are infinite options for protecting your facility. Clinton Electric, Inc. installs complete systems based on your specifications including the wiring and devices for door or gate control, card access, security cameras and closed circuit televisions. Our experience is vast but includes schools, healthcare and manufacturing facilities. Installation of cabling and devices for Data, Fiber Optic, Voice and Video systems is completed by our experienced electricians according to your engineered specifications or our design recommendations. We also work with technology systems contractors to offer our customers complete installation and testing of these internal systems. Our range of experience includes many types of facilities including healthcare, schools, offices, corrections and recreation. Clinton Electric's industrial project experience includes installation of medium and high voltage distribution systems ranging from 5kv to 35kv. This encompasses cable installation and termination, transformer installation, switching unit and gear installation and building/installation of substations. Our electricians have installed medium/high voltage distribution systems for manufacturing, healthcare, correctional and many other large facilities. Solar Energy is a smart, clean energy solution that utilizes a renewable resource and advanced technology to benefit homeowners, organizations and businesses of any size by reducing electricity costs. With state of Illinois rebate programs and federal incentives available, now is an opportune time to go solar! Clinton Electric, Inc. is an Illinois Certified Distributed Generation (Solar Energy) Installer. 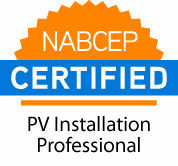 Plus, NABCEP PV Installation Professional Certification offers you the highest standard of credentialing available in renewable energy. Directional Boring and Vacuum Excavating are extremely cost effective and offer advantages over traditional excavating methods. Directional boring is much less disruptive and more efficient than traditional digging, and while vacuum excavating is a newer alternative to dirt removal, it takes much less time and is an excellent option when working in small spaces or when access to an area is limited. Our affiliation with the Illinois Brotherhood of Electrical Workers (IBEW) Local 702 provides us with highly skilled and trained electricians that have completed 5-year apprenticeships through the IBEW/NECA Joint Apprenticeship Training Program. Their commitment to safety and quality is second to none with all apprentices completing OSHA 10 Hour Training/Certification. Clinton Electric, Inc. furthers that commitment to safety by providing OSHA 30 Hour Training/Certification to all of our Project Managers, Job Site Superintendents and Foremen. Affiliations with the National Electrical Contractors Association (NECA), Southern Illinois Builders' Association (SIBA) and contractor management organizations ISNetworld and Browz assist Clinton Electric, Inc. in maintaining industry best practices across all facets of its operation. Keeping our customers, our employees and our work sites safe remains a priority for Clinton Electric, Inc. at all times. SOLAR ENERGY – Now is the time! State of Illinois Rebates & Federal Tax Incentives available towards cost of project! "Clinton Electric has performed the electrical work on numerous primary, HVAC and architectural projects here at Southern Illinois University. They have conducted themselves professionally and we at SIU can always depend on them to get a project done on time and within budget. Most of all their project managers and field staff are problem solvers. We are proud to be associated with this electrical firm and hope we can do business with them in the future." "As a general contractor we expect two main outcomes on our projects - be within budget, and be on schedule. Clinton Electric, Inc. has consistently done its part to help us achieve those goals. It is our great fortune to have completed several jobs with them through the years. Both Clinton's office staff and field personnel are second to none." Clinton Electric, Inc. is an Ameren ActOnEnergy Program Ally Qualified Contractor. Ameren Illinois' ActOnEnergy program can help you realize cost savings for years to come at your business or industrial facility. Follow the link above to Ameren ActOn Energy to explore the various cost savings incentives and contact Clinton Electric, Inc. for further information. Clinton Electric, Inc. is an Illinois Certified Energy Efficiency Installer. Clinton Electric, Inc. is a certified installer of Trydon's patented retrofit lighting controller. This option for lighting control seamlessly integrates with your original outside parking lot and building light fixtures to reduce energy costs by 60% and with 50% less installation costs of LED light fixtures. Follow the Trydon link above to explore this cost savings option and contact Clinton Electric, Inc. for further information.